About: I really really love bees! Despite that, I dislike most insects, and I have an intense fear of butterflies. If I’m not at the school showing my spirit, I’m volunteering for the TAB club at FV public library. (Join! We’re looking for new members!) I also work at the school cafeteria so catch me in the snazziest-looking hairnet at lunch. About: I am 17. I have 3 siblings Brittanie, Brandon, and Chris. I have 2 dogs Daisy and Hercules. I love playing football and I have played it since the third grade. I enjoy lifting, eating, and watching UFC. Fun Fact: ​​I take a lot of pride in my hair, but sometimes I am mistaken for Athena Schlusemeyer. About: I am someone you can always find in the library either studying hard or hardly studying. I am someone with a drive to unite the FVHS student body. I am someone who loves to laugh with anyone. I am someone who enjoys all sports. I am someone who meticulously plans their schedule. My freshman year of high school was definitely something that involved a lot of adjusting and getting used to because it differed very much from middle school. With some low points, I certainly experienced a lot of amazing situations. My favorite memory would be staying at school until 11pm, postering the walls and floors for Bell Week. Fun Fact: ​​I am allergic to avocado and lychee. About: Hi, I’m Gabby from Assemblies, and you’re watching Disney Channel. I have been a dancer my whole life and I love listening to music. I am a creative person who enjoys all types of art, from sketching to photography. I have 3 dogs: Morgan, Cinderella, and Sir Cooper Schnitzlelfritz, and 2 cats: Little Miss Firecracker Boo Boo and Poppy. I also have 2 tortoises: Myrtle and Mortie. They’re almost 100, but they still move faster than me on a Monday morning. I have some fish too, but they don’t have names…well, as far I know. I make too many jokes, and most of the time I’m the only one who’s laughing. If you see me around campus, don’t be afraid to say hi! I’m always looking to make new friends and help everyone feel at home at FVHS. My favorite high school memory was Bell Week 2017. About: Hi, my name is Brooklyn Barlow and I can’t wait to work with the Assemblies commission this year. I love hanging out with my family and friends, traveling, and watching Netflix. When I’m not working on assemblies, I participate in choir outside school, play piano, do service for my church, and I love driving to the beach. I have an obsession with Newsies and love reading, going shopping and horseback riding, and learning new things. I can’t wait to work with all these amazing people and hope to have the best senior year ever! My favorite high school memory was being in the Loud Crowd last year during Bell Game and we scored a touch down within the the first couple minutes. The energy and excitement was so thrilling and I just love being a part of this Baron family. About: Hi, I’m Meray. I’m a very social person! You’ll never see me talking to the same group of friends everyday. I love meeting new people! Like last year in my math class, every time we changed seats I got to know every single person that sat next to me! That being said, I’m sure you’ve already figured out that my favorite show is Friends! When I’m not working on assemblies or meeting new people at school, I’m at home either watching Netflix, playing with my dog Milo or hanging out with my church friends! My favorite places to hangout at would be the beach, kbbq which I’m obsessed with, irvine spectrum, and my couch! The hybrid online PE class I took sophomore year. It was a 0 period so I would be going crazy because I’m not a morning person. When I’m not laughing hysterically with my friend, she would be telling me stories of her friends and updates me with new gossip every week. Even Mr. Woodbury always came and talked with us! And this all while exercising! About: I love playing volleyball, hanging with friends, and going to tntt at church. Milk tea with boba is my most favorite thing in the world to consume and I think everyone should try it if they haven’t already. I also love to make new friends so don’t be shy and say hi! Volunteering and helping others is something I enjoy doing and I aspire to be someone who can change the world in the future. I also enjoy learning when there is a good teacher like Sr. Bunten. My favorite high school memory is meeting Clara Pham. Fun Fact: ​​My Snapchat is @jolynnahh. About: I am friendly, outgoing, positive and goal driven. I love making new friends and meeting new people. I love talking to anyone and everyone. I am an optimist that sees the good in everything. I am a hard worker and I push to achieve my goals. And I am highly motivated and driven to accomplish every task and obstacle. Cheering at the Bell game! My favorite thing about FV is how spirited we are. Everyone on our side of the stadium was cheering the whole time. Everytime we had the ball everyone would start screaming and we got to pump up our football team. It was such a fun night. About: My name is Seraphim, but you can call me Seraphim. At Hormel Foods, we are committed to providing consumers with high-quality, high-value branded products that are flavorful, nutritious and convenient. Guided by Our Way-our internal principles platform-we strive to set industry standards for product quality, work environment and community engagement. At Hormel Foods, we strive to bring more to the table for customers, employees, consumers, shareholders and the communities where we live and work. One time, I lost my watch at school and couldn't find it. An hour later, I saw some guy stepping on it while he was stealing someone's wallet. Infuriated, I went over and tackled him down. No one does that to a person, not on my watch. In a bowl wash rice well in several changes of cold water until water is clear. Soak rice in cold water to cover overnight. Drain rice well in a sieve. Set sieve over a large deep saucepan of simmering water (sieve should not touch water) and steam rice, covered with a kitchen towel and a lid, 30 to 40 minutes, or until tender (check water level in pan occasionally, adding more water if necessary). Waking up bright and early every day to make sure I get on time for school! I am never late. Fun Fact: Ask me to go off-roading! I've lived in Louisiana, West Virginia, and Texas. About: I play basketball, and I used to do track. 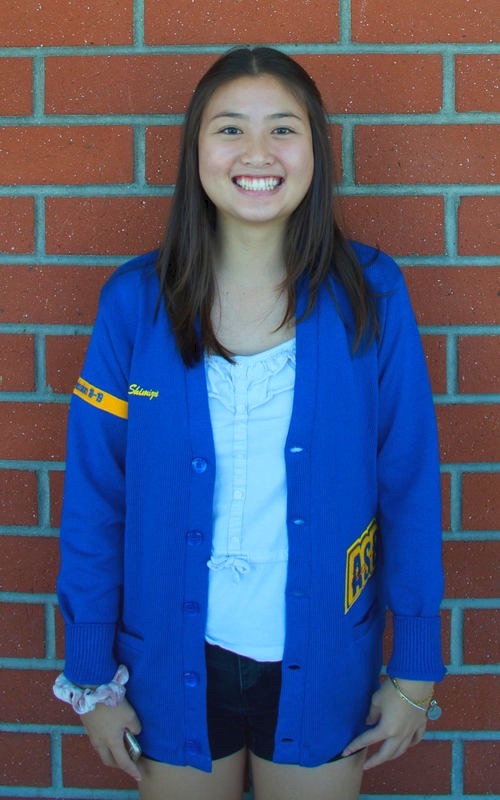 I am a Media Commissioner for FVHS ASB, and I also play the piano and ukulele. English and History are two of my most favorite subjects. I love to help out at my church every other Sunday, and I spend my time hanging out with the people I love most, my friends and family. And I really, really, really love shopping. My favorite high school memory was last year's Bell Week! Just the whole week in general was so much fun and I had a great time! Fun Fact: ​​I want a pet hedgehog very badly. About: Hi, I’m Trevor and I’m a really social person! I love to talk a lot but I’m also a really good listener so hmu if you ever need anyone to speak to....tea. My favorite Netflix shows are The 100, Jane the Virgin, and Black Mirror. My favorite books are The Hunger Games and Angels and Demons. I’m definitely a dog person but I love myself a fat ginger cat. I LOVE boba tea and will never ever refuse it and that’s THAT on that. When I helped out in the Winter Assembly while I was in Senate! About: A crazy person that loves going outside, making new friends, and always ready to have a good time. Being able to bond with others through sports and unbelievable stories. Fun Fact: I am half Filipino and half Vietnamese! About: My name is Michelina Nguyen, and I love meeting new people and going to local kbbq places with my friends :) My life would not be complete without kbbq! Playing basketball is one of my favorite things to do, along with painting and spending time with my small dog, Bella. There's nothing I love more than spending quality time with friends or getting together with them to play a game of basketball. I am so happy to be blessed with an amazing school with amazing people, and I am definitely excited for the year! During the Bell Game, when the crowds were excited and yelling loud, I was standing there with my friends having the time of my life. When the first touchdown was scored, the crowd roared, a giant wave of students all dressed in blue rising from their seats. It was an unforgettable experience, getting to represent Fountain Valley High School in a stadium packed with people. I can definitely say that was one of the highlights of my freshman year. About: I love being involved in school so you could find me around school doing lots of things. I might be in the gym playing basketball or I might be helping around school for National Honors Society. I enjoy traveling and some day I hope to travel to Australia. I love all types of dogs especially corgis because of their little booties. So if you have any dogs, bless my day by bringing them to me, or letting me come to them. I will accept any free food that anyone offers me, so please help a girl out. I love Hot Cheetos, fries, melted cheese, steak, and sushi. My favorite movie is Tangled, so if you find a Tangled theme mural around, you could probably guess who helped out on that. I’m down for boba runs or unexpected planning type of days. follow me @tiff.shim on insta for more content on my life! Whenever I hang out with my friends or with ASB! Fun Fact: ​​Every year on my birthday, I would wish to go horse back riding but it never became true, so I stopped wishing for it when my 10th birthday came along. About: 5’3 (rounded up) female that enjoys the sunset and spending time with friends. Notorious for breaking herself and her sick ability to walk (on good days). Can burp on cue and has the talent of sneezing more than five times in a row. Often the one in class that likes to challenge the teacher and keep them guessing. Spicing things up is her middle name. Mr. Theriault claiming that he was my biggest fan. Fun Fact: I dislocated my patella three times, and have great agility on crutches and stamina in a wheelchair. About: As a person, I feel I am very outgoing and respectful to others around me. Growing up, I learned to be open and understanding about why things are the way they are and learn to adapt to the changes. I have always been a very determined person. If I have a goal and the right mindset, I will make sure that the goal is achieved. I have always loved my family and friends. I always want the best for that people I love and care for and most importantly I hope that they are happy. My favorite high school memory has to be meeting all of the amazing people I have met. I have made such amazing new friends that I know will always be there for me and support me throughout high school. They have made high school an amazing experience so far. Fun Fact: ​I love to play volleyball! About: I try to be as happy as possible, I smile and laugh a lot. I’m also a very adventurous person and I love the sun, beach, swimming, traveling, socializing, and things like that. When I put my mind to it I believe I can do anything, I’m pretty social, and I love my friends + family. Being chosen to help out with Baron Games last year when I was in senate was probably one of my favorite memories. Fun Fact: My goal in life is to be a beach bum, and if you tell me a terrible joke I will probably laugh until I’m crying because of how bad it was. When the school brought doggies during finals week to lower our stress levels. Fun Fact: I really LOVE dogs. About: I like to binge watch Grey's Anatomy every chance I get. My favorite food is sushi, and on my free time, you will probably catch me at the park playing basketball. I enjoy spending time with my family and going out to the beach to watch the sunset. Also I love to jam out to Disney throwback songs in my living room. My favorite high school memory was when I got to pie Emily Sweeney during pie a senior in the bowl. Fun Fact: ​Last summer I traveled to Italy and visited Vatican. Also I traveled to Germany rode down a rollercoaster that was on top of a mountain. ©2017 Baron Activities, all rights reserved.